The ÆON is very possibly MrSpeaker's headphone masterpiece. How many over-ear headphones can you name priced between $499 and $999? You would think there would be more, but there really aren't many these days. While there has been a flood of flagship-level megabuck headphones over the past couple of years (to go with the usual selection of sub-$500 fare), it seems many manufacturers somehow forgot about the middle. So like many other personal audio enthusiasts, I was extremely interested when the venerable MrSpeakers announced they would be filling the vacuum with their attractively-priced $799 ÆON over-ear headphone. After bursting into the audio industry with his popular Fostex T50RP-based Mad Dog, Alpha Dog and Alpha Prime, MrSpeakers' Dan Clark turned the corner from modder to maestro in 2015 with the release of the critically acclaimed ETHER and ETHER-C. He made yet another leap in 2016 when he updated those models to the ETHER Flow and ETHER-C Flow (both $1799), which are two of the very best headphones on the planet today. 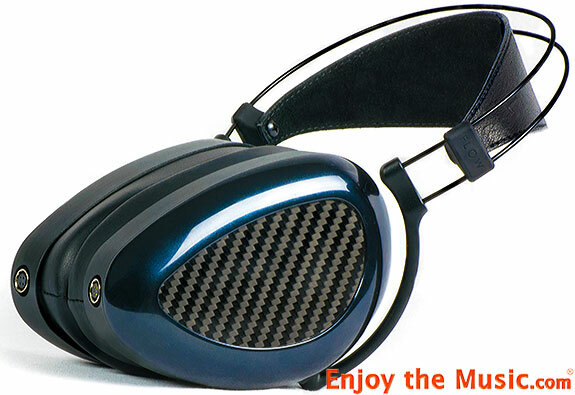 The ÆON represents a trickling down of the technologies that paved the way for these aforementioned headphones. It all starts with the vast knowledge of damping gained during the development of those first T50RP mods. Then later, during the creation of the Alpha Prime, Clark developed the knurled V-Planar diaphragm – a distortion-reducing design that would eventually lead to the creation of the ETHER. As the next stage in his headphones' evolution, Clark designed his TrueFlow wave guides during the development of his upcoming electrostatic headphone, an inspired discovery that would set the stage for the ETHER Flow models. Each one of these technologies has made MrSpeakers headphones sound progressively better, and each one can be found in the all-new ÆON. But all the technology in the world doesn't matter if the headphone doesn't sound good in the end. And scaling down so many pieces of tech leaves ample room for things to go awry. So how did MrSpeakers fare? To my ears, they absolutely knocked it out of the park. Tonality on the ÆON is quite good, with accurate timbre and a balanced frequency response that most people will find to be quite appealing. With the ÆON's bigger brothers, the ETHER and ETHER-C, there has always been somewhat of a Yin and Yang on the low-end response. The open ETHER tended to have a bit more midbass, making it perfect for rock, metal, jazz and vocal music. The ETHER-C had thinner midbass, but an extra bit of heft in the sub-bass. 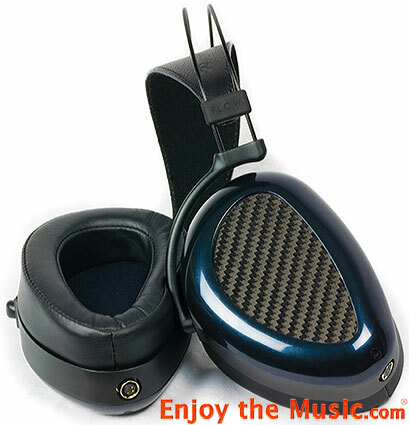 This made the ETHER-C slightly less ideal for rock, but an extremely potent headphone for many other genres (particularly electronic music), keeping the sound light and airy without losing its visceral kick on the lowest notes. With the ÆON, I think MrSpeakers has found a balance that will satisfy fans of both headphones. While the ÆON maintains much of the nice sub-bass extension and heft of the ETHER-C, there is now a bit more warmth in the midbass region, which adds a welcome sense of weight to drums, guitars and vocals. Bass is tight and articulate in both regions, and I was easily able to distinguish between different low-register sounds during complex passages in the music. All things considered, it may very well be a better all-rounder than its bigger brothers in the bass region, just in terms of serving every kind of music well. The levels of the bass frequencies sit roughly around neutral, with just an extra pinch of warmth. With some equipment, I wouldn't have minded an extra 1-2dB of volume in the sub-bass between 30-60Hz to give it the slightest bit more impact, but this is easily remedied by pairing the ÆON with a punchy amplifier. Paired with the Cavalli Liquid Carbon or the upcoming Liquid Spark portable amplifier, the bass really came out to play on the ÆON, delivering a very satisfying visceral thump that left me with no complaints whatsoever. Climbing up the frequency range, I found the midrange to be quite open and revealing with no sense of congestion. 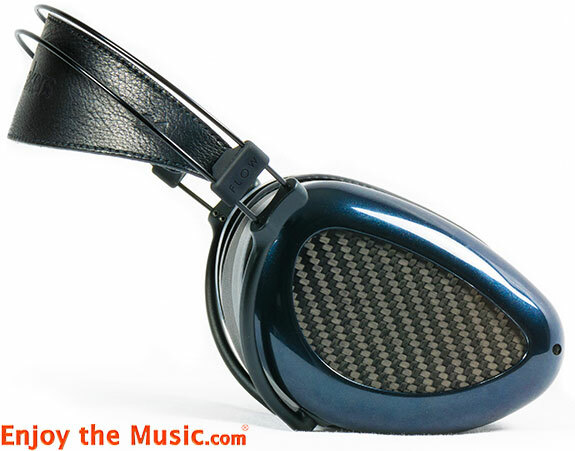 The lower midrange separates cleanly from the bass frequencies, showcasing a great sense of clarity. The upper mids are clear and crisp, with an extra little bit of energy between about 900Hz and 2kHz. This tends to bring sounds like snares, vocals and some cymbal work a touch forward. I would say the section is maybe 2dB to 3dB above neutral and frequency response measurements seem to support this. In practical application, this little bump brings an added touch of clarity at low volumes at the cost of a little more fatigue at higher volumes. Of course, this little bit of upper midrange shout is easily remedied with a pinch of EQ or by pairing the ÆON with slightly relaxed-sounding equipment (like the aforementioned Cavalli amplifiers and a good cable, for example). Overall, it's a minor niggle, and if you listen at low volumes, you may not even notice it at all. The treble presentation leaves almost no room for criticism, offering absolute top-flight performance for a closed headphone. While it's not quite as resolving as the treble of the ETHER models, it's still exceptionally crisp, and the balance with the rest of the frequency response is very, very good. There is just the right amount of sparkle and air – and the ÆON rarely, if ever, strays into harsh or sibilant territory. This quality treble makes cymbal work very crisp and lively, and I really got a kick out of listening to hard-rocking drummers like Tool's Danny Carey and Don Caballero's Damon Che do their thing. Much like the ÆON's midrange, the treble always stays airy and is not congested – a phenomenal accomplishment for a closed-back headphone. As you might imagine, given the above descriptions, the technicalities are quite good on this headphone. While the inner resolution doesn't quite climb to the level of the ETHER or the Sennheiser HD800, the ÆON has very few rivals in terms of technical merits at its price point, save for a few very select models. Attack and decay properties are both exceptionally crisp. The transient attacks offer a great sense of realism in the music, which is no doubt aided by the well-damped, black backgrounds inherent in all MrSpeakers headphones. Decay is similarly excellent; no note ever seems to overstay its welcome. This results in a presentation that is very clean and articulate sounding overall. Spatial characteristics on the ÆON are also nothing short of terrific. The size is quite expansive for a closed headphone, and in terms of shape, the ÆON presents a nicely rounded orb that resembles the shape of the Sennheiser HD600/HD650's soundscape. This is actually a very good thing, as many headphone enthusiasts consider the Sennheisers to be a standard-bearer for dimensional accuracy. Like ÆON's bigger brother, the ETHER-C, the width is exceptional for a closed-back headphone. Even if it isn't quite as large as it's open-back counterparts, I never once wanted for more width while I was listening to it. The depth of the soundscape extends decently well out in front of you, keeping in line with the width, but doesn't present a multitude of well-defined layers between the front and back. There are easily discernable differences between near, medium and far images, but the differences are a touch hazy compared to ÆON's bigger brothers, which are quite specific. Still, the performance here easily out-muscles other competitive headphones near this price-point. Combined, these spatial characteristics set the table for a fairly sharp sense of imaging that is well above average for a closed back, or for any headphone in the sub $1000 range, really. Dan Clark's headphones are always so well damped, directional cues tend to pop out quite easily on any MrSpeakers model. The slight haze in depth may prevent the ÆON from getting to the most elite level of 3D imaging, but this is easily forgiven when you consider the package as a whole. For as solid as the sound and technicalities are, my favorite part of this headphone might just be the fit and finish. It is sharp, almost sci-fi looking in design. When I first saw it, I commented that it looked like something Alien creator H.R. Giger might have thought up with its triangular shape and carbon fiber side inlays. The headband borrows the futuristic NiTinol "memory metal" arches from the ETHER, which exert an ideal clamping pressure while adding minimal weight to the headphone. A leather headband sits underneath, with smooth sliders that prevented any kind of "hot spots" from the weight of the headphone. I am told the final version of the strap will be more of a "belt leather" than the preproduction headband, which was borrowed from ETHER. Along the sides, the high-grade pleather ear pads were soft with just the right amount of give, and stayed cool over long listening sessions. All things considered, ÆON is absolutely one of the most comfortable headphones money can buy. 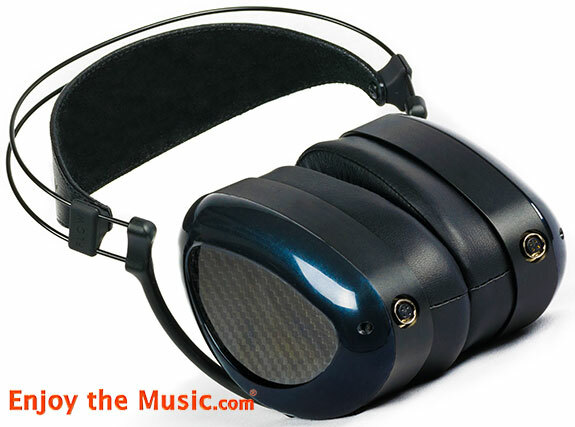 As a closed-back headphone, the isolation is adequate, but not class-leading. There is a slight amount of leak – both in and out – but ÆON isolates well enough that it won't bother your family members or coworkers under normal listening conditions unless they are right on top of you. If you have a desk job, I find that this is actually quite ideal, as there is just enough leak that you can hear it if the phone rings or a coworker is trying to get your attention. Combine that with the comfortable fit and the excellent sound, MrSpeakers' ÆON headphones may very well be the perfect office headphone for many people. When you consider all these things together, ÆON is a very easy recommendation and a clear five-star value at $799. I'd give it six stars if I could. The fact of the matter is, this headphone gets very, very close to the sound of the ETHERs for a fraction of the price, and it sounds better than some headphones that sell for $500 more. Plus it is beautiful, comfortable, and provides a good amount of isolation for most cases. While the ÆON may not the MrSpeakers best sounding headphone to date, it may very well be Dan Clark's masterpiece.